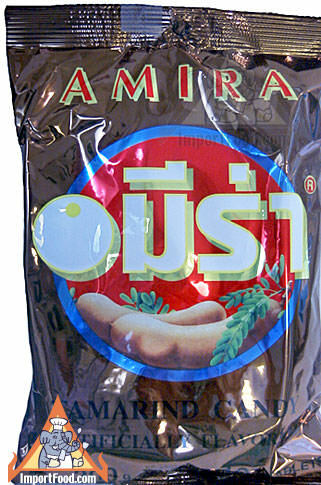 Tamarind is an exquisite, delicious flavor for candy, and this product from Amira in high quality, modern packaging captures it very well. In each pack you get 100 individually-packaged candies sealed in a modern, foil, air-tight wrapper. Similar to something you might find at a restaurant for an after-dinner candy treat. We recommend this for anyone who enjoys tamarind candy, also suggested for international restaurants who want to offer something a bit different in the candy dish. Learn more about tamarind here. Ingredients: sugar, glucose, artificial tamarind flavor. Net weight 300 gm (10.5 oz).